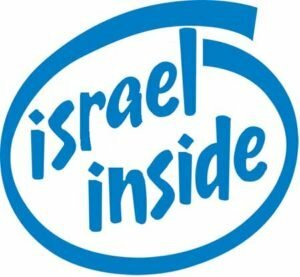 Israel and the Unexpected New World Order - Bitcoin is at Risk! Scotland's MI6 Exposes Operation Talpiot! In the new and surprising economic world order, Israel could gain a degree of wealth not seen since the days of King Solomon. For the Western world, strong new alliances between certain non-Western countries constitute something of a mystery. But while the West is distracted by political uprisings and remains enamored with the idea of its own “manifest destiny,” a new world order is emerging, dominated by up-and-coming global superpowers like Russia, China and India. Over the past eight years, many unexpected diplomatic changes have occurred. The Islamic Republic of Iran has formed a partnership with the “infidel” nation of Russia. Less than two years ago, Russia moved into Syria, and shows no signs of leaving. And Syria, despite its own problem with radical Islam, has strengthened bonds with Iran’s fundamentalist regime. Turkey’s President Recep Tayyip Erdogan has taunted Western Europe, preferring to pander to Moscow and Beijing. And China, though physically distant, has subtly installed troops in Syria. China’s fleets are also appearing in joint exercises with Iran in the Persian Gulf and Russia in the Mediterranean. As for Israel, how is it that this small country, a mere sliver of land, is accorded such deference? The world’s only Jewish state is making deals with Turkey, Russia and China, in spite of their alliances with Iran, which is dedicated to Israel’s annihilation. Why is Jerusalem pursuing such deals? And, ambivalent at best about Israel, why are these nations agreeing to them? A new world order, difficult for the West to recognize, answers many of these questions. About six months after Barack Obama began his first term as US president, a new partnership was born in the Russian city of Yekaterinburg. Indeed, eight years later, those four nations – along with the addition of South Africa, hence BRICS – are rapidly moving toward a position of global economic dominance. Economic growth is skyrocketing, especially in China and India. In comparison, GDP growth in the US and the UK already look like what Reuters predicted. BRICS has also established its own international bank, called NDB. Under the auspices of the BRICS member states, its purpose is to finance infrastructure projects inside those member states. The project is called the Belt and Road Initiative. Unveiled only four years ago, it will take an estimated $7.5 trillion to develop. But the benefit is nothing less than an explosion of prosperity, not just for participating countries but for the whole world. No less than 75 nations have joined the Silk Road Chamber of International Commerce. Members include all the Eastern Goliaths: China, Russia and India. For those keeping an eye on Israel, other notable members along with the Jewish state include Syria, Iraq, Iran, Turkey, Egypt, Qatar and the Palestinian Territories. Because China’s most important land “road” runs straight through the countries in this region. A second major route is noted below. The land road begins in the Chinese city of Xi’an. Its path runs directly through Tehran. Moving into Iraq, it then either goes directly into Turkey or through Syria to both Turkey and the Mediterranean. If China’s land road goes through Syria, as Tehran hopes it will, it will connect at the Mediterranean for shipping exports to Europe, Africa, North America and South America. Russia is guarding the Mediterranean with a fully developed and growing seaport. Iran may be connected to the western sea, but Russia is determined to hold its coastal key. Israel is only miles south of the China land road, and only miles north of its proposed sea road. The latter, sometimes called the Maritime Road, connects China with Southeast Asia, India, East Africa and, upwards through the Suez Canal, Yemen, Saudi Arabia and Egypt. Geographically, Israel is just off-center. Why then is it treated with such respect, especially by the likes of Russia and China? Already, Israel is getting under the skin of other members in the Silk Road International Chamber of Commerce. Its huge gas and oil fields just offshore in the Mediterranean are on the verge of piping fuel directly to Europe, cutting into Russia’s market. Maneuvering its way into the transport of goods via China’s land and sea roads, Israel is floating the idea of an alternate shipping route to Egypt’s costly Suez Canal. It will be cheaper and faster, Israel argues, to deliver goods to Eilat, transfer them to a highspeed train that goes to Ashdod on the Mediterranean, and from there ship goods throughout the world. In response, Cairo is already calling foul. Most importantly, Israel is positioned to guard the world’s Internet. Everything today is traded, controlled and administered online. And Israel is emerging as the world’s number one guardian of the worldwide web. That means, regardless of being a few miles offtrack from China’s Land and Maritime Roads, it is positioned to be the center of both belts. As chief of security for the world’s information and currency, and with energy independence, Israel stands to gain substantial wealth. Feeding that resentment will be the small matter of Iran’s determination to annihilate the Jewish state. Inasmuch as it becomes Israel’s neighbor in Syria and Lebanon (as, arguably, it already has), Tehran’s ambition to destroy Israel becomes all but irresistible. For the sake of trade, China does not want this war. For the same reason, neither does Russia. Perhaps someone will come along and, strictly for the sake of business, bring peace to the Middle East. But if such a treaty failed, or if for any reason Israel becomes an economic threat to BRICS and One Belt One Road, it is feasible that Russia will descend, China will march and Tehran will launch. Why? To extract the sliver-sized country, to unblock the flow of commerce, and to deal with “the Jewish problem” once and for all. 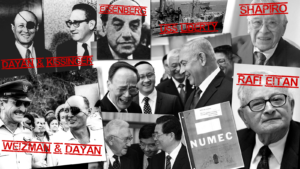 In the book The Weapon Wizards: How Israel Became a High-Tech Military Superpower, a delegation of high ranking Israelis are said to have secretly travelled under the cover of darkness to meet with a Chinese delegation at Guangzhou, China in February, 1979. Were Americans furious? Are they furious today? Who exactly are they talking about then they say “Americans”? I assume they are referring to the general public. For the US government, the word getting out about Israel and China laying diplomatic foundations could have damaged the now old canard that Israel is the United States’ “greatest ally” as the communist Chinese were built up as an enemy of the US. The “greatest ally” lie and propaganda slogan, at the time, had to be maintained as a perceived reality in the minds of the general public. This was important for the Zionists to continue milking their US cash cow, and another reason why the Communist connections to prominent Israeli politicians are not mentioned in Western media outlets. Interesting info. Even though you may be copying the original authors' work here, you are mentioning their names - Brian, from the Jerusalem Post, and John. All intelligence services and all governments are controlled by Rothschild, the jew banker inspired by the anti-christ. Like a virus, they destroy the world with their communist manifesto but they will eventually be defeated by Christ when he returns.